The Minister of Transportation, Mr Rotimi Amaechi, has described as too poor, the contribution of the transport sector to the Nigeria’s Gross Domestic Product (GDP). The minister said the sector could do better than its present contribution of 1.41 per cent to the economy, adding that the problem has been untapped potential. He said that considering the place of the transport sector in the national economy, there was the need to exploit all the opportunities in the sector for it to contribute more. The Deputy Director, Public Affairs of the ministry, Mrs Yetunde Oshonaike, in a press statement said although Nigeria was blessed with multiple modes of transportation, the potential were yet to be tapped. He said: ““The government of President Buhari is in the process of developing a national transportation master-plan that will be implemented as a fulfilment one of his campaign promises to diversify the national economy while improving non-oil sector revenues. “As a first step, the government will pursue the enactment of legislation that will open up the sector to new investments that will lead to economic prosperity. 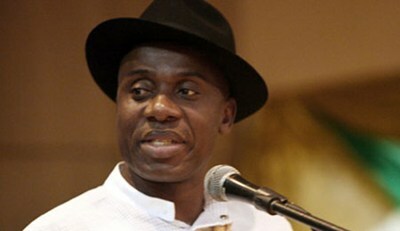 Amaechi noted that despite the large population, the railway sub-sector had been neglected over the decades even as most effective and cheapest mode of mass transportation. He added that the current state of the railway was an indication of the serious neglect of this important sub-sector occasioned by poor policy initiation and implementation. He said, “This has led to the proliferation of privately owned and operated road haulage services resulting in unregulated and chaotic situation on the nation’s roads.